(Savannah, G.A.) – In 2003, the Chatham County Commission and Savannah City Council voted to merge the Savannah Police Department and Chatham County Police Department. Together, these agencies would create the Savannah-Chatham Metropolitan Police Department, which unified each agencies respective patrol districts allowing the newly formed department to patrol both within the city limits and unincorporated portions of the county. In 2017, the city and county governments voted to officially end the merger, resulting in the re-creation of the two original agencies — Savannah Police Department and the Chatham County Police Department. The de-merger was official on Feb. 1, 2018, and led to both agencies re-branding with the acquisition of new patrol vehicles, patches and vehicle graphic packages. At the time, the Savannah Police Department predominantly operated a fleet of Chevrolet Caprice Police Pursuit Vehicles. As this vehicle was no longer being manufactured, the department established a committee to identify a suitable replacement for the agency’s next generation patrol vehicle. The committee reviewed several models while looking for a cruiser that would meet its criteria on safety, reliability, improved fuel economy and comfort. After the completion of their evaluations, the Ford Utility Police Pursuit Package was selected and introduced with a bold new graphics package. 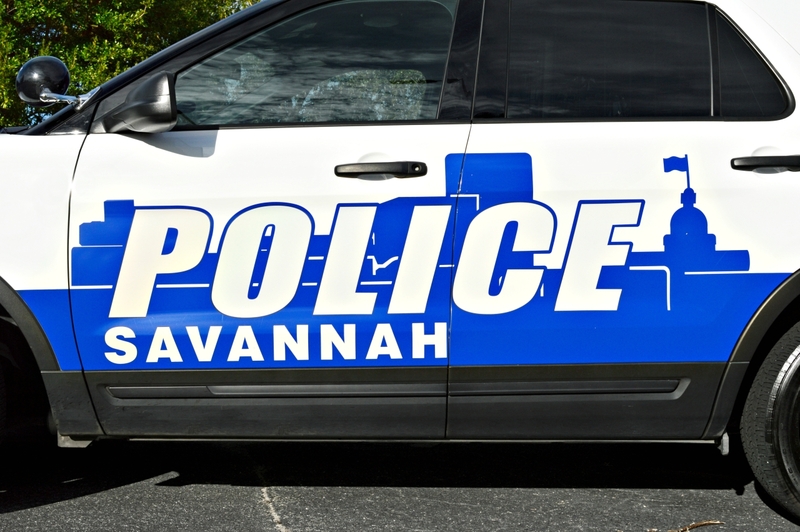 Unlike most agencies that opt for a generic vinyl stripe, the Savannah Police Department selected a unique design that prominently featured the city’s River Street skyline. This portion of downtown is one of the city’s main tourist attractions and was also incorporated into the department’s new patch. The vehicle itself was upfit locally by West Chatham Warning Devices and boasts an array of Whelen Engineering emergency lighting products. The package includes the new Whelen Legacy lightbar and multiple Ion series LEDs to provide 360-degree visibility for enhanced officer safety. To-date the Ford Utility is the only cruiser in the fleet to showcase the new design while older vehicles with high mileage are rapidly being phased out and replaced.